ADT Monitored Home Alarm Options for New California Homeowners. Congratulations on your new home!!! Now it’s time to protect it and your family with an ADT Monitored Home Security System. Below are some things to consider when planning for security for your new home. First, does your new home already have a security system installed (hardwired or wireless) or has it been pre-wired for a security system? Most preexisting home security systems are manufactured by Honeywell (Ademco), GE and DSC. There might be another “ABC Security” company’s name on a keypad (other than the manufacture), a sign, window decals or on the security box. This does not mean that the system can only be activated by the “ABC Security Company” who previously installed and monitored the existing security system. Existing systems can be utilized by ADT and when you order installation and monitoring service you can often upgrade the system equipment for FREE with a new homeowners special promotion package. Yes… my home does have a hardwired security system already installed. 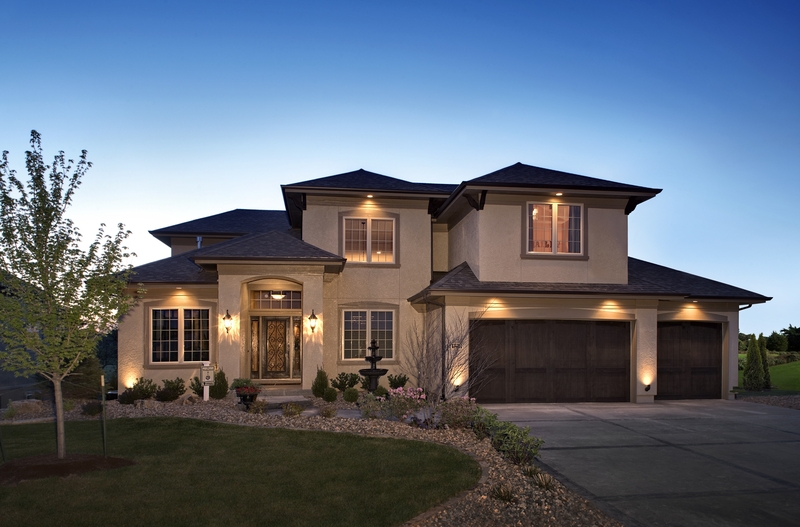 With a hardwired security system there are several options for you. First, if the system appears to be in good working condition and you like the protection level it provides, you can simply have us test it and just activate the monitoring service. Next, you can have the system upgraded with addition security components to customize the protection level to meet your family’s lifestyle. At times the central processing unit, keypad, motions, etc need to be replaced. Today’s hardwired security systems are hybrid, meaning wireless components can be added as well which eliminates the need to run unnecessary wires and risk damage to your new home. Hardwired security systems do have some advantages over wireless security systems. To mention a few, hardwired security systems can have multiple keypads, you never need to replace batteries in wireless sensors (unless you add wireless sensors to your hybrid hardwired security system), you can partition a second zone (like a in-law unit, guest house, detached garage or workshop) and hardwired systems are more compatible with home automation systems. Buyers Beware…do not have a wireless system installed over a hardwired system unless the wires have been tested and found to useless. If you order a wireless security system over the phone or from a neighborhood canvasser who has “a wireless promotional package only”, you may not be taking advantage of the more robust hardwired security system already installed in your new home. If the hardwired security system is 20 years old, some of the wire configurations may not work (systems today have one wire per contact or device that runs back to the security system, CPU, older systems stringed many openings together which may cause “resistance” and false alarms). When in doubt, have one of our Security Consultants come out to give you a FREE security review of your existing system and help you make the right choice. Yes… my new home is pre-wired for a security system (often the case in new construction neighborhoods). You can have us install a new hardwired security system and take advantage of the special promotions for new homeowners. Most often with a pre-wired home, it is more cost effective to have a higher number of doors and windows protected than with a wireless security system. if you have any questions or would like to evaluate what type of security system would be best for your pre-wired home have one of our Security Consultants come out and give you a FREE security review of your home and show you your options. Yes… my home has an existing wireless security system installed. Unless the wireless security system is old and outdated, ADT can monitor the existing system and we can upgrade it with additional points of protection for FREE with installation and monitoring services. In some situations, it is an advantage for you to remove your old wireless system and replace it. With a special promotional package is can often be cost effective and a better value to have a completely new wireless security system installed. No…. my home does not have a security system installed. If your home does not have an existing security system, it is most likely that an ADT Monitored Wireless Security System is your best option. To find our about our new homeowners special promotion packages you can order online, call 1-800-310-9490 to order your security system by phone or schedule a FREE security review of your home with one of our Security Consultants. One frequently asked question is do I need a phone line for my security system? NO you do not need a phone line to have a security system. We can install an ADT Monitored Security System that uses cellular communication to send alarm signals to the ADT Central Station. For further information please read our recent blog: Home Security Systems Do Not Require a Phone Line. As a new homeowner you may still have further questions about how best to plan for the monitored security of your new home. Please call us at 1-800-310-9490.